Logan Soya is the founder and CEO of Aquicore, a leading commercial real estate software company with an all-in-one asset operations and management platform. In his role, Soya is responsible for creating and implementing business strategies, managing the company’s investments and resources, as well as driving Aquicore’s future innovation and growth. With a background in physics, technology, systems management and business, Soya founded Aquicore in 2012 on a mission to create a global impact by helping clients connect to and understand their physical world. Our team at CREtech sat down with Soya to learn more about his background, Aquicore, and the future of the company. Logan Soya: Prior to establishing Aquicore, I began my career in telecommunications as an integration engineer and trainer for Harris Corporation, where I supported business development and critical system architecture. While at Harris Corporation, I led my first business venture, securing more than $1 million in funding to develop and research markets and product opportunities associated with a relatively new application of quantum mechanics known as quantum encryption. Throughout my tenure at Harris Corporation, I oversaw a merger and acquisition analysis worth more than $600 million in transactional value, supervised a data center redesign project that saved a company $4.7 million over a five-year period and developed the risk and change management workflows to improve mission critical IT services for all federal airspaces across the United States. After completing my master’s degree in business administration at Georgetown University, I decided to launch Aquicore in 2012. With a background in physics, technology, systems management and business, I founded Aquicore to create global impact by helping clients better connect to and understand their physical world. By leveraging advanced IoT technology and a cloud-based information platform, Aquicore enables property managers, asset managers and building engineers to cut operational costs, improve tenant relations, increase energy efficiency and boost asset value. CREtech: How and when did you arrive in the CREtech sector and what propelled you to enter the space? LS: As a young technology entrepreneur aspiring to save the planet and make an impact on the environment around me, I was mesmerized by the complexity within each physical building I walked into. Inside a typical office building there are hundreds of different pieces of equipment that are intertwined and must operate together in order to keep tenants happy and the space running well. It’s not unusual to find equipment that is 10, 30 or even 50 years old. Each piece of technology intrigued me, and I saw a wealth of opportunity to apply software and modern technology practices that could make things better. At the time when Aquicore was founded, property technology was still a relatively nascent field, but I saw the potential to disrupt traditional processes and improve the commercial real estate industry through the use of new technology and analytical techniques. CREtech: Tell us about the founding of Aquicore. What was the problem you were trying to solve and how did you go about building the platform, team, etc? LS: Today, a large majority of commercial buildings’ useful data is locked up in physical equipment at the property or siloed in business processes that prevent a holistic view. This robs building teams of valuable context in the decision-making process. The lack of data not only reduces profits, but also negatively impacts our global environment. Across the United States, buildings account for about 40 percent of all energy use and up to 70 percent in major cities. Despite this, large commercial buildings make just two percent of the net-positive energy efficiency investments available to them in a given year. By clearly measuring and reporting the financial impacts of such investments, Aquicore is working with its customers across the country to reduce the single most important source of carbon emissions on the planet. Fundamentally, Aquicore is a smart buildings company established on the principle that the right tools in the right hands can help create a more healthy, sustainable, productive and profitable future. CREtech: Who funded the company’s growth? 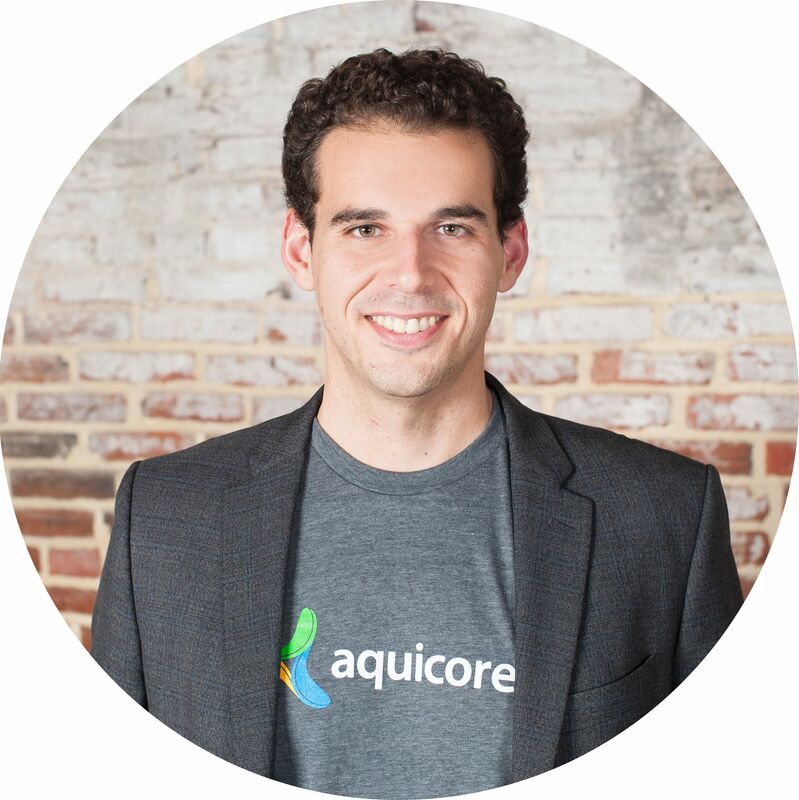 LS: Since its founding, Aquicore has received one grant and has undergone a venture round, two seed rounds and a Series A funding round, raising more than $12 million in funding to date. CREtech: What does the product do and what are its core benefits? LS: Aquicore is a portfolio-wide smart asset management platform that uses Internet of Things (IoT) technology to compile real-time data from meters, submeters, equipment and sensors in buildings. It tracks, analyzes and predicts key building metrics such as energy and water use, budgets and more. By providing a high-resolution view of what’s happening inside commercial assets across a portfolio, the platform enables asset and property managers to make faster and more informed decisions to cut operating costs, increase energy efficiency and improve asset value. CREtech: Who are your customers? LS: Aquicore specializes in utility management, budget management, capital project tracking, tenant billing as well as equipment/data management for properties and businesses of all sizes. Designed specifically with property owners, asset managers and building engineers in mind, the platform helps commercial real estate stakeholders manage budgets, equipment, energy and environmental performance across their portfolios. Aquicore is recognized as a commercial real estate industry leader with more than 1,000 installations nationwide, servicing over 700 commercial buildings owned or managed by 80 institutional clients including the John Hancock Tower, Salesforce Tower, National Press Building, Promenade and NASCAR Plaza. Notable clients include Cushman & Wakefield, JBG Smith, Lincoln Property Company, MRP Realty, Under Armour, Facebook, The World Bank and Salesforce. To date, Aquicore is responsible for monitoring more than 140 million square feet of commercial real estate space nationwide. CREtech: What were some of the biggest lessons you learned scaling the business? LS: Every entrepreneur needs to have a foundational understanding of how the economics of their business will work before they get started. Entrepreneurs should design their business model around one customer and build out from there. When drafting your business model, ask yourself two questions. How much money will I make from one customer and how much money will I spend keeping that one customer happy? If the later question out weights the former question, then the entrepreneur needs to rethink their strategy. Many start-up entrepreneurs think too big too fast. I recommend mapping your business model on a monthly and annual basis; that’s the only way to successfully scale your business. Also, understanding basic accounting and finance is vital. If you struggle with these topics, I recommend developing a network of fellow business owners, CPOs and CPAs that you can exchange strategies and stories with. CREtech: What were some of the biggest challenges you had to overcome? LS: Aquicore started off as a standard SaaS platform designed to mine utility data for insights that would let commercial real estate companies reduce their use of energy, water and gas. Very quickly, we ran into a key problem: Customers wanted access to much more data and at a much faster rate than top-level utility meters could provide. That led us on a years-long journey through the challenges of hardware creation, supply-chain management, third-party installation all across the country and every type of white glove service that you can imagine. Finally, after years of tinkering and fine-tuning, we’ve managed to make our hardware so simple that we can simply ship devices out and trust our customers to do a successful installation, meaning that we can get back to what excited us all along – the software. CREtech: What’s next for the company? LS: Aquicore is on the brink of deploying artificial intelligence (AI) capabilities that will measure, monitor, report, analyze and make recommendations regarding building connectivity, tenant bill back and budget management, energy performance and equipment performance optimization, as well as capital projects and work order management. As more and more buildings come online and more utility and historical data is input into the platform, we’re able to expand our offerings – not just in terms of what the platform can do, but what it can tell you about the market. Our data science team is working on some really exciting algorithms that will provide insights into how a building or portfolio stacks up against another.